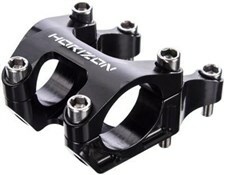 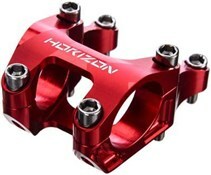 The Horizon DM Stem is based on the Nukeproof Sam Hill direct mount stem, which was developed in conjunction with the 5-time Downhill World Champion. It shares the same stiffness and strength, but in a slightly longer 45mm length. 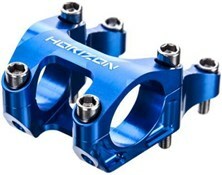 It also features extensive CNC machining to the 6061 aluminium, ensuring outstanding stiffness and a very low weight. 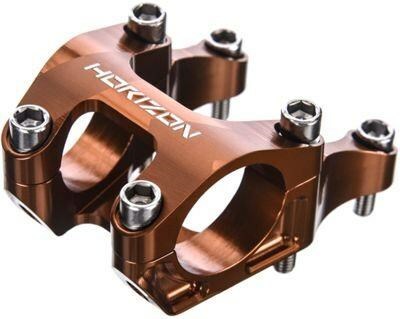 A perfect match to the Nukeproof Horizon bars, the Horizon DM Stem is finished off with huge M6 bolts throughout for extra security, making this the perfect option for the most aggressive downhill riders.